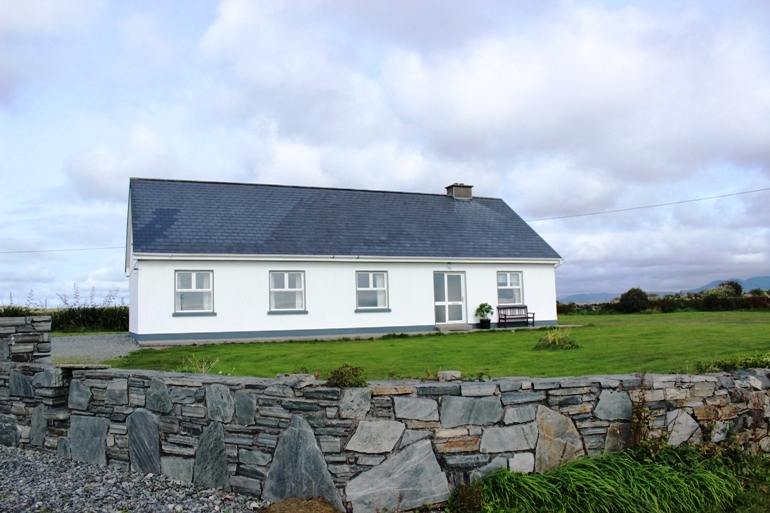 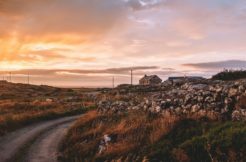 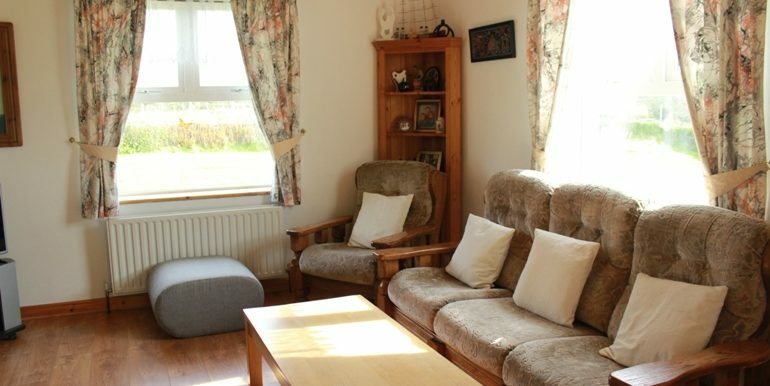 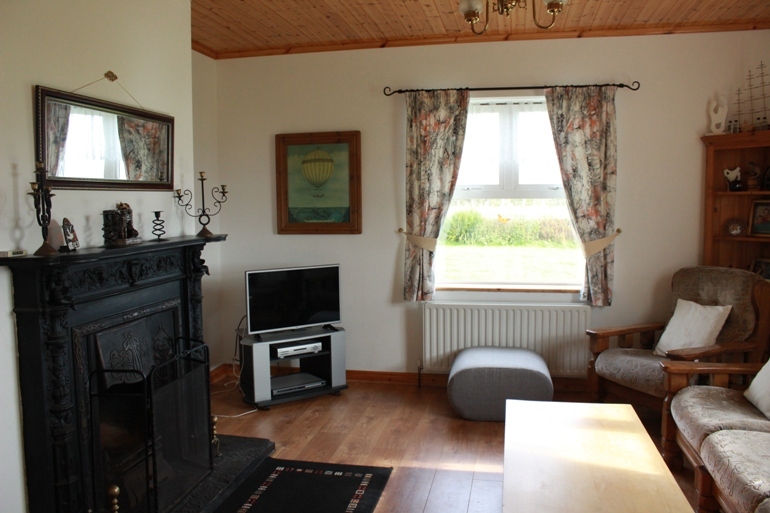 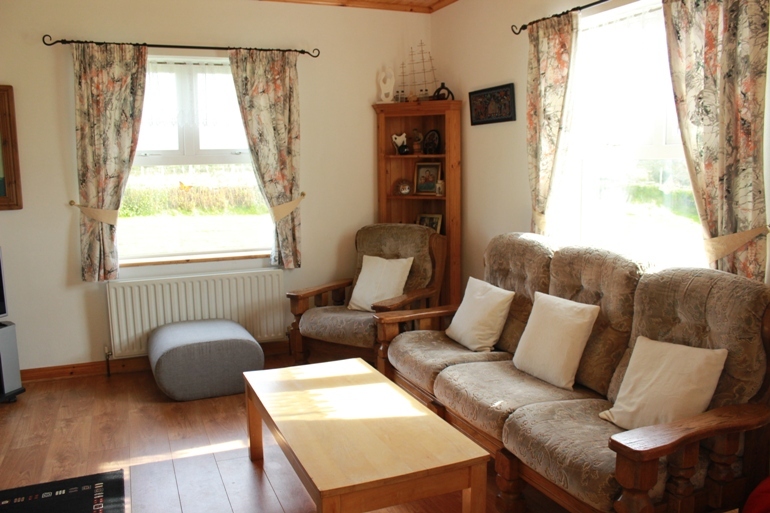 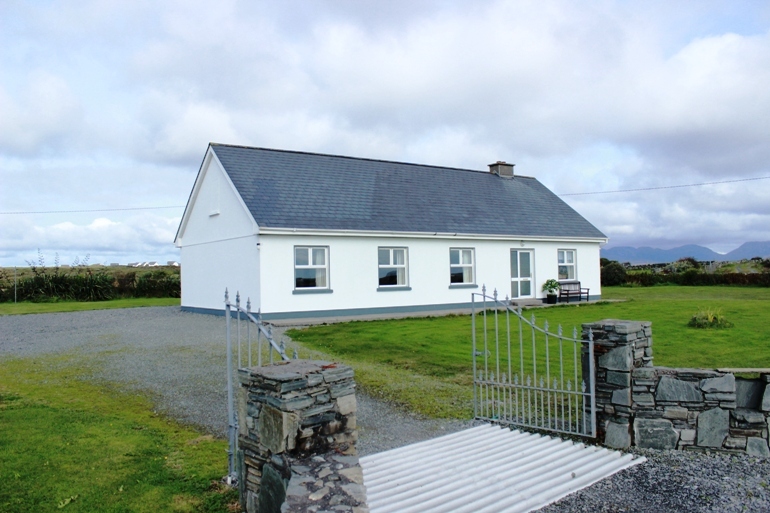 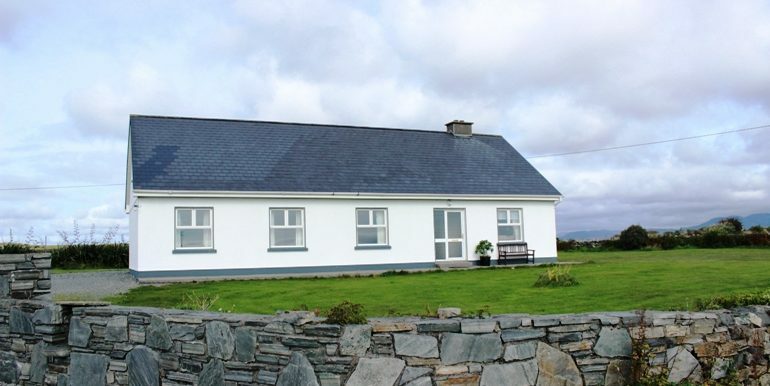 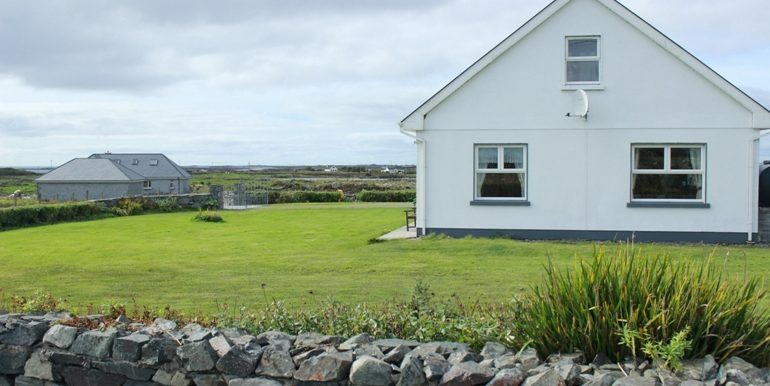 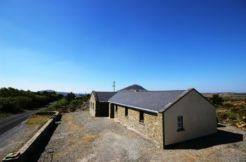 Lake Road Cottage is a perfect based for family or friends wishing to holiday along the Wild Atlantic Way offering spacious accommodation with mountain, countryside, lake and sea views. 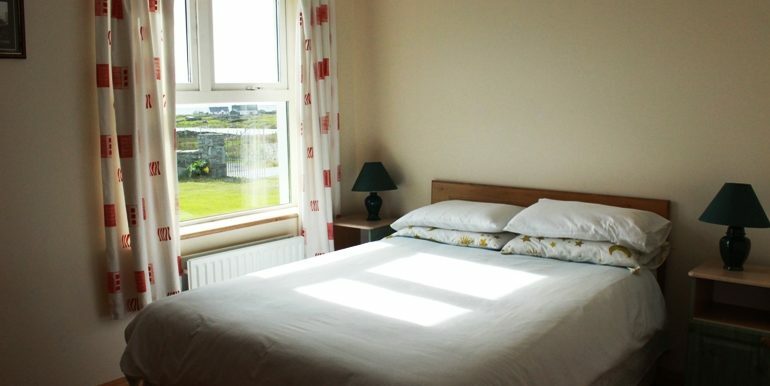 Ballyconneely village, Roundstone Village, Connemara Championship Golf Course, Kylemore Abbey and Connemara National Park are all a short drive away. 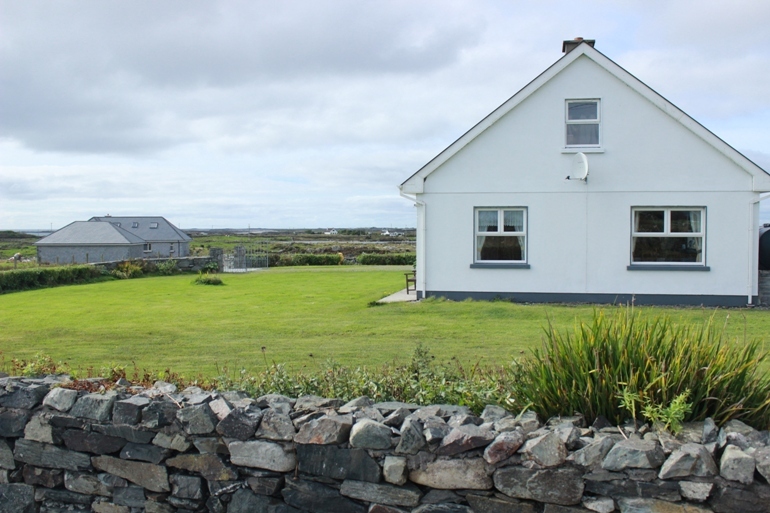 Shops, pub, restaurant and playground are just 3 kms from this cottage. 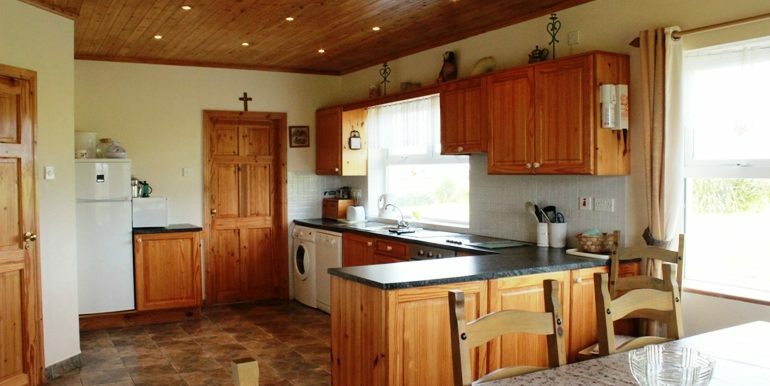 4 bedrooms – sleeps 8. 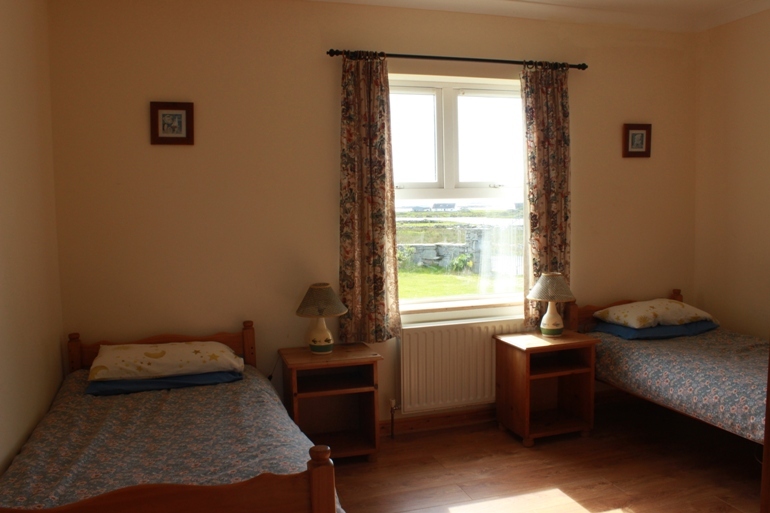 All rooms are on the ground floor level. 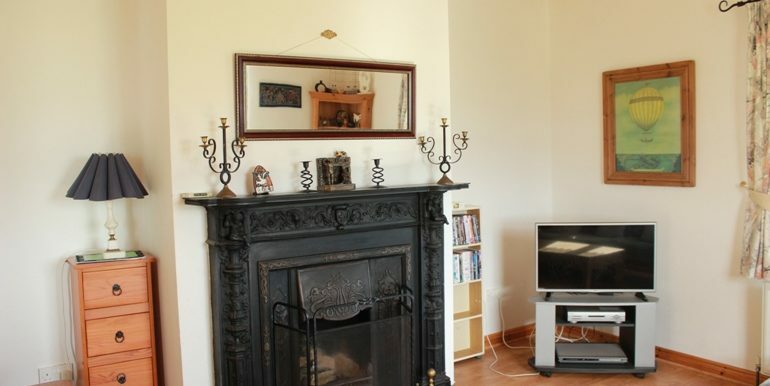 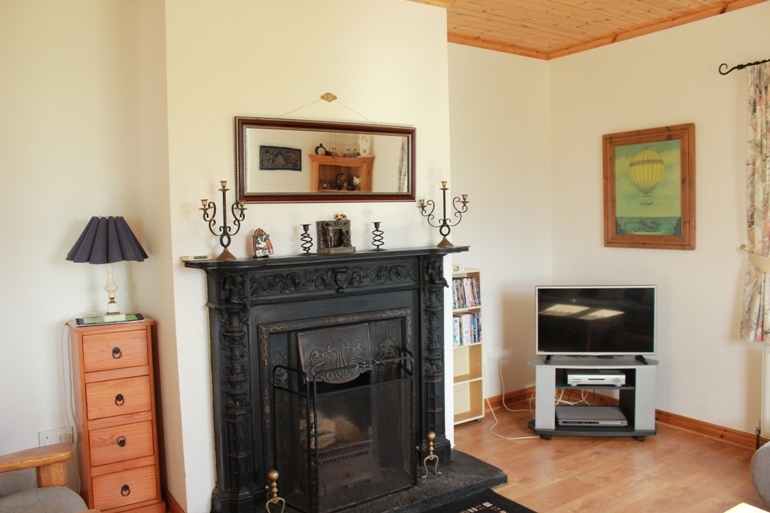 Reception room: Cosy with wooden floors, a 3 seater couch, 2 armchairs, open fireplace and a flat screen TV with Saorview channels. 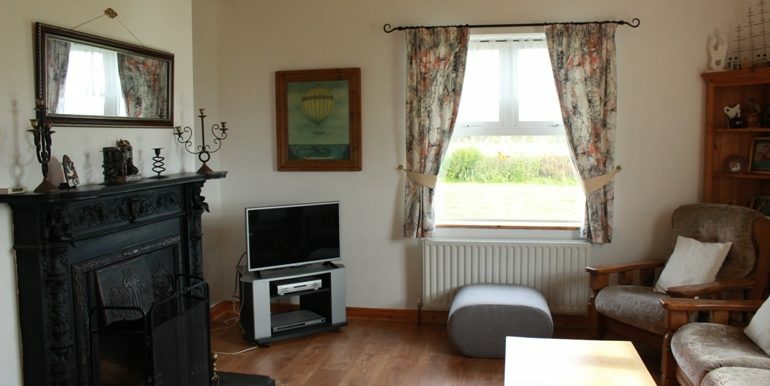 Window to the front & side of the house. 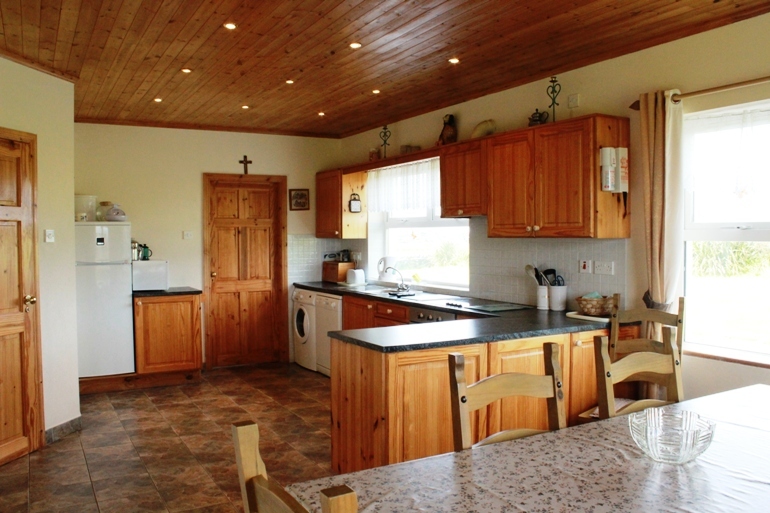 Kitchen/dining room: Large bright and spacious room with fitted kitchen, large fridge/freezer, dishwasher, microwave. 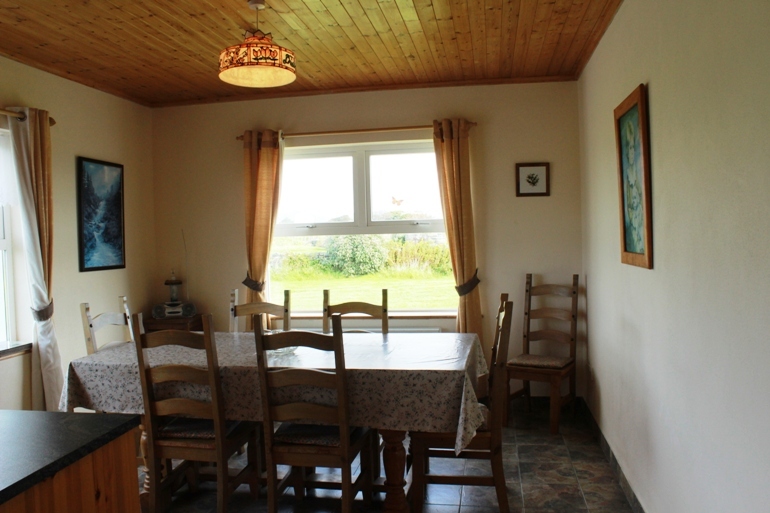 Tiled flooring with dining table seating upto 8. 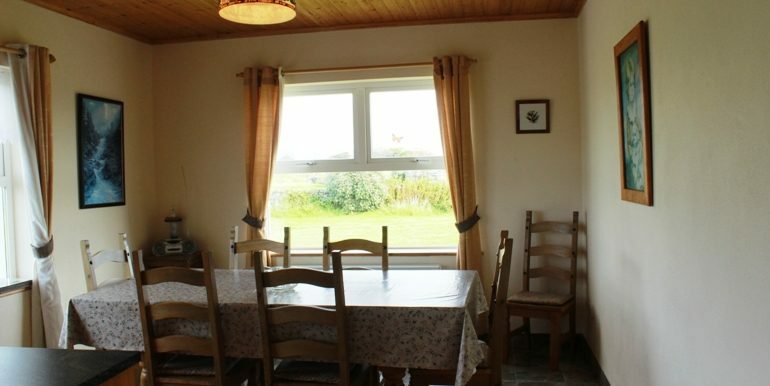 3 windows allowing ample natural light with panoramic mountain and countryside views. 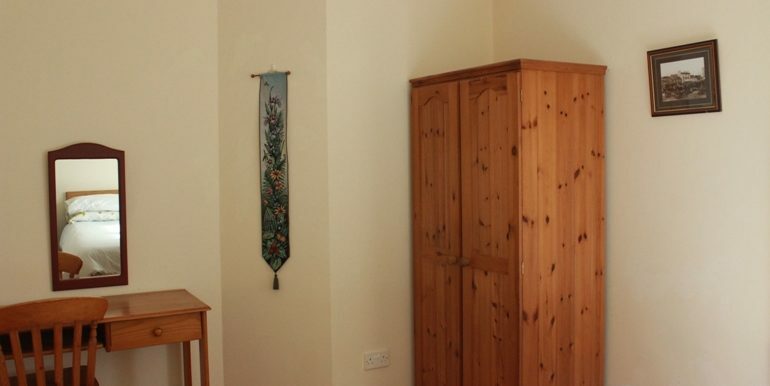 Utility area: Door leading to the side of the property housing a washing machine and separate dryer. 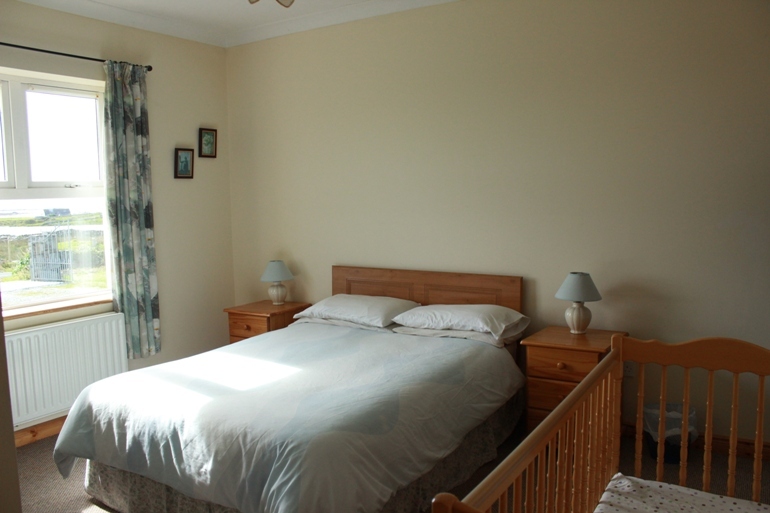 Bedroom 1: Double bedroom, carpet flooring and wooden furnishings. 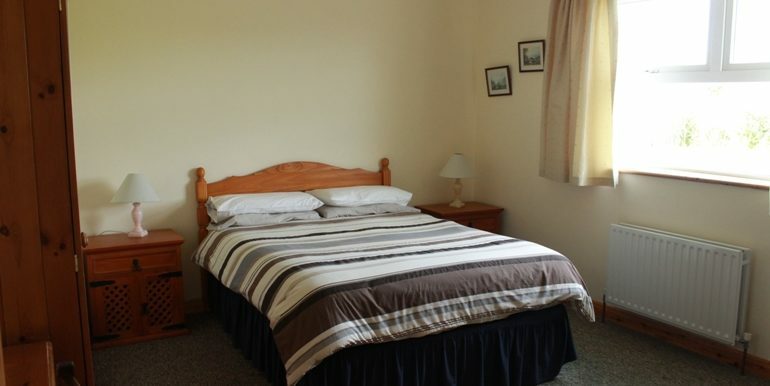 Bedroom 3: Double bed, wooden flooring and desk area. 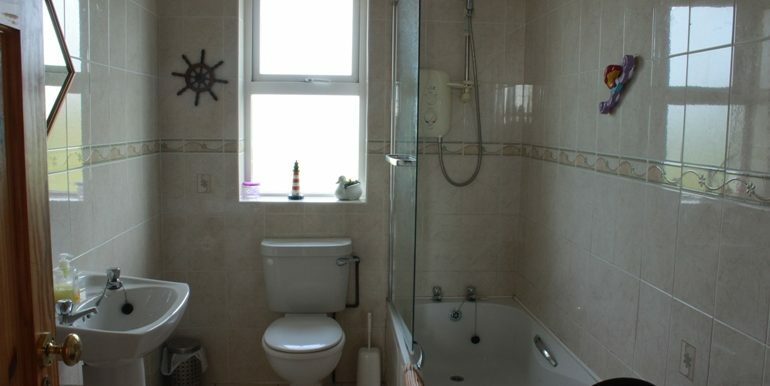 This room has the ensuite shower room. 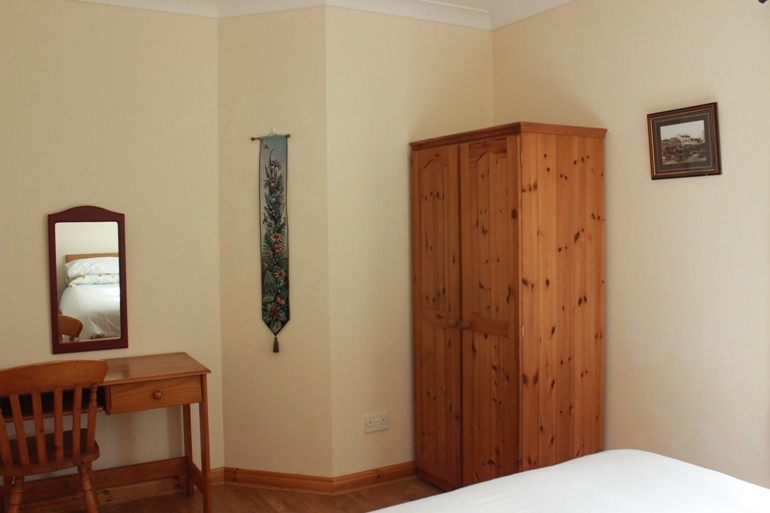 Bedroom 4: Twin bedroom with wooden flooring and two bedside lockers. 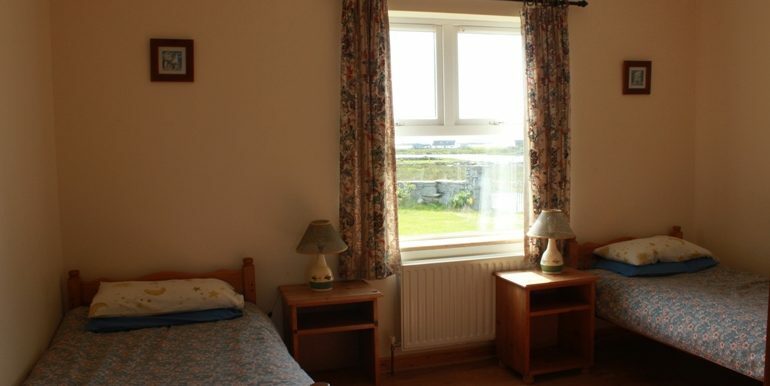 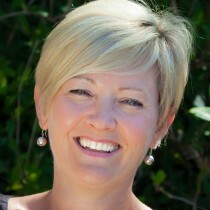 Ideal for families and groups sharing the property. 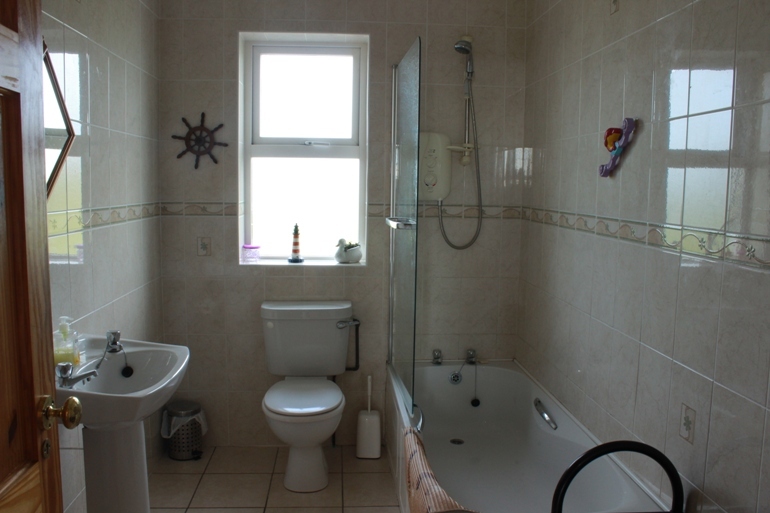 Family bathroom comprises of a bath with shower overhead, WC & sink unit. 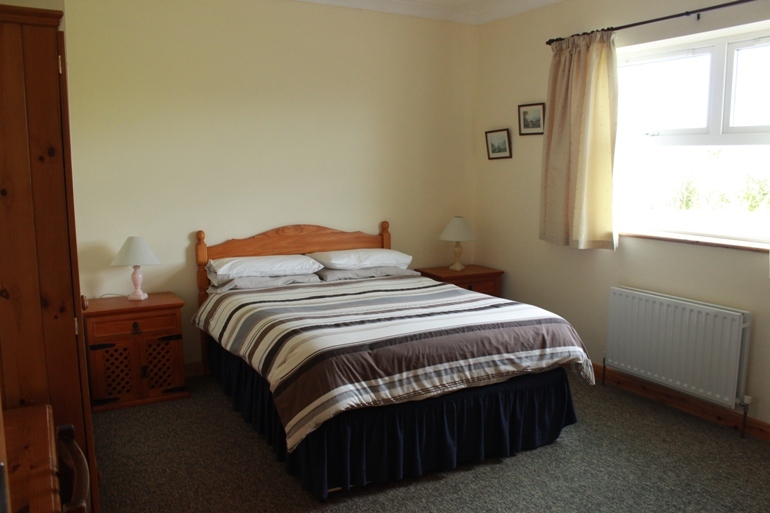 Pets welcome but must stay on tiled floor – not allowed in bedrooms, on carpeted areas, or on furniture. 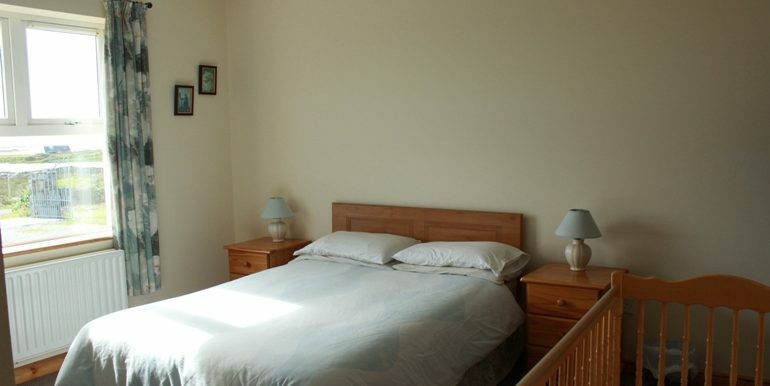 Bed linen and towels provided. 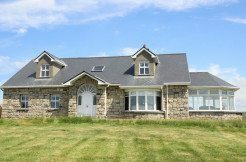 Ample parking, gated entrance, fully enclosed garden with garden furniture & gas BBQ-ideal for dining alfresco. 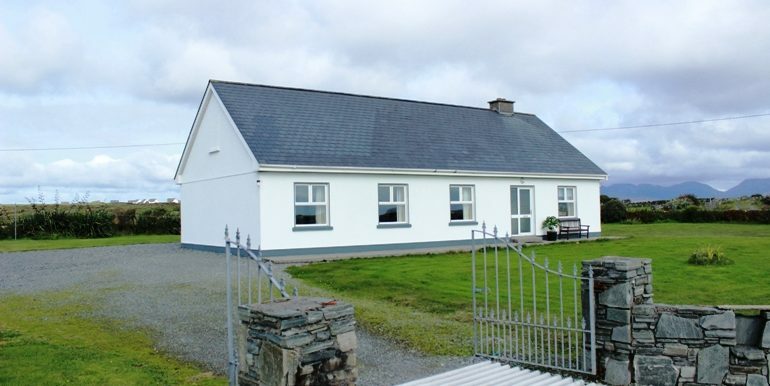 Electricity and heating at a set charge of €35 per week. 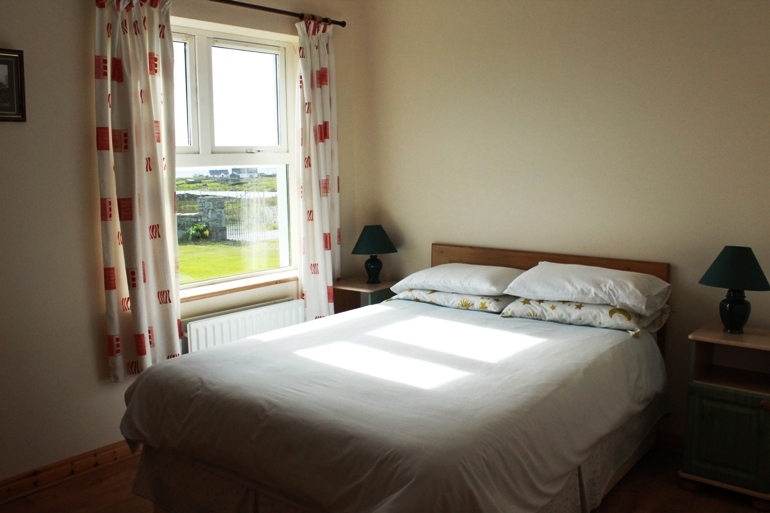 Pets welcome but must stay on tiled floor – not allowed in bedrooms, on carpeted areas or on furniture.